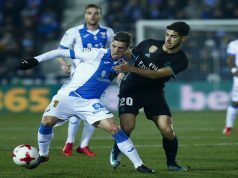 If you are planning on attending a Real Madrid match, there are a few things you should know before purchasing your tickets. Here you will find some tips and information on how to buy Real Madrid tickets online, by phone or in person. When choosing the match you want to attend, you have to take into consideration that the day and time of the game is often confirmed three weeks before the matchday. However, for Champions League games, dates are confirmed once the draw has taken place. As season ticket holders liberate their seats, availability for tickets increase. Thus, if you cannot find tickets for a specific match, you might be able to get them if you try later. 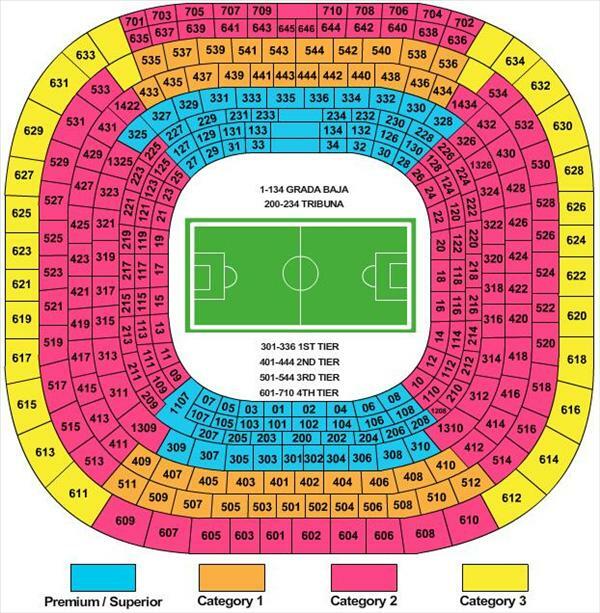 There are four ticket categories at the Santiago Bernabeu. Seats in categories 1 are situated in the best positions: on the sides and close to the field. VIP category: VIP rooms where you are often served free food and beverage and have a special treatment. These four categories are divided in sectors. There are eight groups of sectors, organised by height. Sectors in the lowest stands are numbered from 1 to 34, sectors in the second lowest stands are numbered from 101 to 134, and subsecuently sectors in the higher stands start at numbers 201, 301, 401, 501, 601 and 701. If you want to buy your tickets online, you can access the official first team tickets platform at Realmadrid.com. 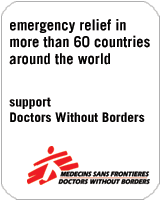 The website is available in eight different languages. The club often starts selling tickets to general public between five and ten days before the game. 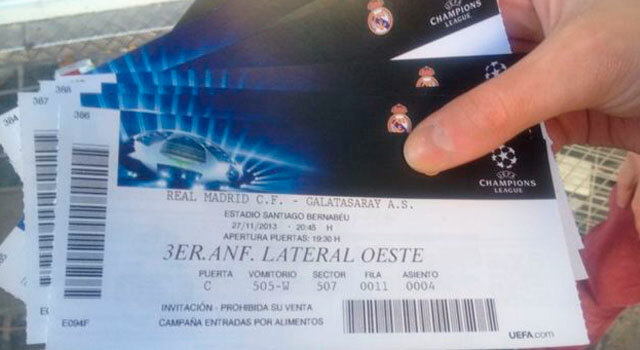 Before that date, only club members and Madridista card holders are allowed to buy Real Madrid tickets. Once you have purchased your tickets, you will be able to collect them at the Santiago Bernabeu offices, in the first floor of the shopping centre located in the stadium. However, if you want to pick them up on the day of the game, you will have to go straight to the ticket windows. There are other online platforms that sell Real Madrid tickets. They are often based in the same system used at the official website of the club, and prices are usually the same. Other websites, such as entradasmadrid.com, are a bit more expensive. 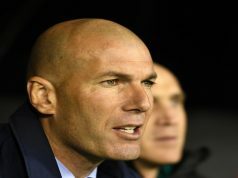 Real Madrid offer a telephone sale service, which is also available in English. The number is: 0034 902 324 324. The lines are usually pretty busy, so you might have to try several times. You will have to dial 1 for football tickets or 2 for basketball tickets. Once you get to speak to a sales person, you will be able to request an English-speaking operator. Remember to have your credit card on hand to complete the purchase. You are allowed to buy up to six tickets. Exchanges and returns are not permitted. You can go directly to the stadium to buy tickets in the ticket window number 44. Tickets are usually sold there from the day before the match, although in some cases you will be able to purchase them with more time on advance. The window is usually opened Monday to Sunday from 10.00 to 19.00. Cheapest tickets are usually worth 30 euros. You can get a seat in the high stands behind the goals for that price -or even less if it’s a Copa del Rey game against a lower division side. For an average game, prices are between 30 euros and 150, excepting the VIP tickets. You can get a VIP seat for 225 euros to 600. 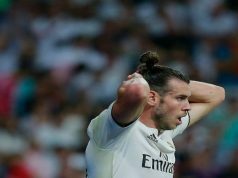 In important matches, such as El Clasico, the Madrid derby or the Champions League big games, the prices of regular tickets can go up to 700, while the VIP seats go up to 1,000 euros.